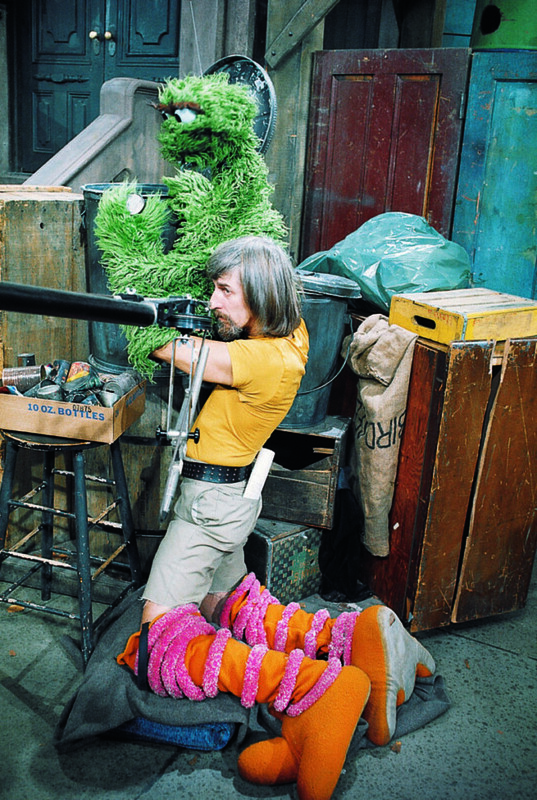 Oscar the Grouch and big Bird are looking for a new inside man following news that Sesame Street puppeteer Caroll Spinney has retired from the roles he’s performed since the show’s 1969 premiere. After five decades as the heart and soul of Big Bird and Oscar the Grouch, it’s impossible to entirely separate the man from the characters he so vibrantly brought to life. Big Bird visited China with Bob Hope in 1979. He’s danced with the Rockettes, and with prima ballerina Cynthia Gregory. He’s been feted with a star on the Hollywood Walk of Fame, celebrated with his likeness on a U.S. postage stamp, and named a “Living Legend” in 2000 by the Library of Congress. Performing Big Bird has taken Caroll to China, Japan, Australia, France, Germany, Canada, and the United Kingdom. He has performed on hundreds of episodes of television, starred as his big yellow avatar in the feature film Follow That Bird, and conducted symphony orchestras throughout the United States, Australia, and Canada. Spinney even met his wife of 45 years, Debra, on the Sesame Street set in 1973. There used to be an urban tale that my right arm was twice the size of my left. Although that wasn’t true, I would say it was twice as strong. The bird’s head weighs four and a half pounds, which doesn’t sound heavy until you try to hold it over your head for fifteen minutes. A guy once said, “Well, four and a half pounds, that’s nothing. I could hold a hundred pounds over my head.” I said, “I don’t think so. I bet you can’t hold your empty hand over your head for five minutes, let alone if I put a four and a half pound head in your hand at the same time.” About two and a half minutes into it, he’s going, “Geez…” He never made it to the five minutes. He said, “This is stupid, I’m not doing this.” Well, he was stupid, anyway.